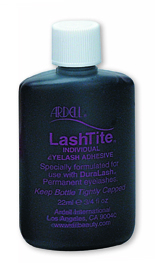 LashTite Adhesive is designed for use with DuraLash individual lashes. This adhesive is waterproof and ensures that Duralashes remain securely and comfortably attached, day after day for up to 6 weeks. LashTite is available in clear and dark.